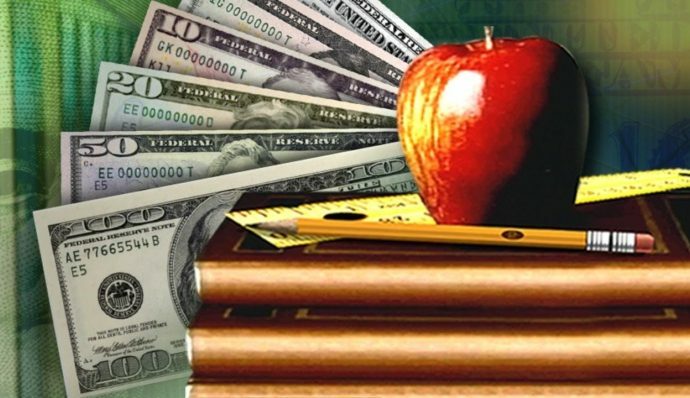 The Kansas Department of Education says per-pupil funding will set another new record this year at $14,116, exceeding last year’s record of $13,620. Total funding is expected to be $6.75 billion this year. The information shown in the table below was provided by Deputy Commissioner Dale Dennis. Most of the increase comes from state funding approved by the Legislature. State aid will total $4.5 billion, which amounts to $9,498 per-pupil. Total state aid will have increased more than $500 million in just two years as legislators have tried to satisy the state supreme court’s order for additional funding to no avail. Another estimate from the Department of Education predicts funding needed to satisfy the court will push total spending to $16,520 per-pupil over the next four years. Had per-pupil funding been increased for inflation since 1992, it would be $9,535 this year; actual funding of $14,116 will therefore be about 48 percent above inflation. 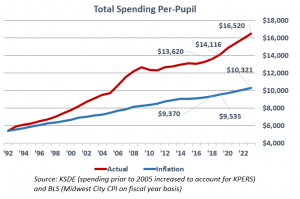 Kansas Policy Institute provides per-pupil spending history for each school district on KansasOpenGov.org, using data downloaded from the Department of Education. 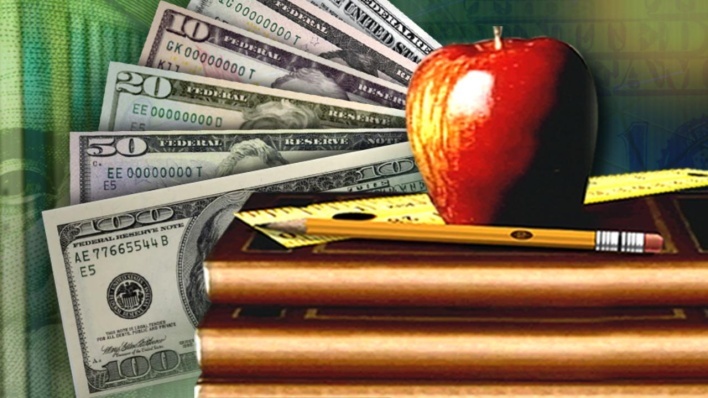 Each school district’s budget for the current year can be downloaded from the Department of Education website.